Like A Bat Out Of H-E-Double Hockeysticks! 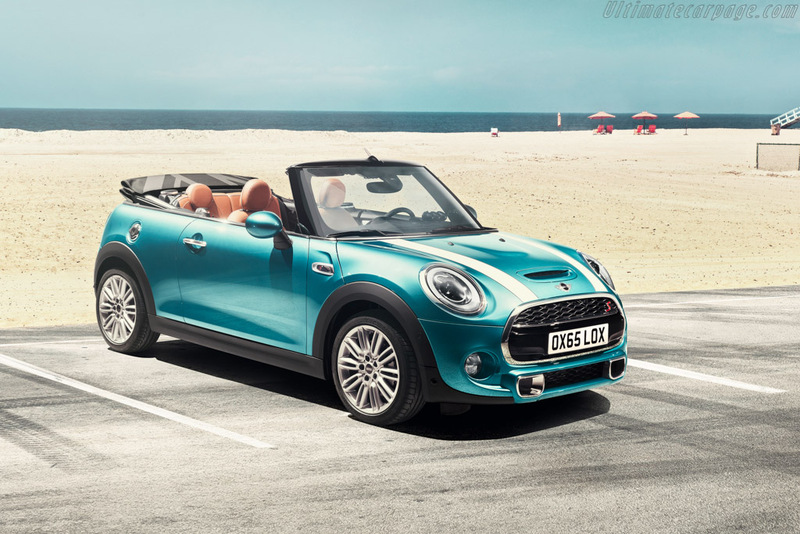 MINI has unveiled, and has on display, at the Tokyo Motor Show the 2016 MINI Convertible. Car and Van News reports from the show. Carscoops provides 274 photographs and all of the car's specifications. The recall covers the Mini Cooper and Cooper S models from 2002 to 2005. BMW says in documents filed with regulators that the power steering can fail because of manufacturing or other issues. If that happens, manual steering remains but it would take greater effort to steer. . . .
. . . Randy Smalley from RSR Motorsports announced that he will be bringing four old MINI racecars from the 2007-2012 era. Before the current MINI John Cooper Works / LAP Motorsports team entered the IMSA Continental Tire SportsCar Challenge series this year, the way had been paved by Nuzzo Motorsports and RSR Motorsports (GRAND-AM at that time). . . .
Visit the Daytona Historics website at www.hsrrace.com. "I'm So Mad About Saffron . . ."
Check out Mellow Yellow at modifiedcars.com. Brought to you via MINI USA for Name Your Car Day. MotoringFile wants your comments on the generations of the MINI Convertible and offers a photo gallery for comparison.
. . . Although the newest, sharpest Mini is on the expensive side, the JCW Hardtop is not without tremendous merit. Initial build quality is high with well-weighted controls, premium interior materials, and MINImal (to borrow Mini’s terminology) obnoxious ergonomics prevalent in earlier Minis. The new Brembos are stellar, and although we would have loved to try the standard suspension setup, the JCW is a blast at eight-tenths on rural twisty roads. It is pricey, but value is relative. . . .
. . . against BMW of North America LLC, whose MINI Division allegedly violated the Magnuson-Moss Warranty Act by telling consumers that BMW would void their warranty unless they used MINI parts and MINI dealers to perform maintenance and repair work. requires BMW to notify affected MINI owners of their right to use third-party parts and service without voiding warranty coverage, unless BMW provides such parts or service for free. BMW is also required to post the notice on its miniusa.com website. When you take corners enthusiastically, body roll is controlled effectively and the steering communicates information from the front wheels with uncommon jubilance. It’s hard to believe that it’s power steering. There’s no torque effect on the front wheels during sudden acceleration and if ever the driver lacks (a little) judgement, the various control systems work with the electronic differential to bring the vehicle back on track. The units we tested came with Dynamic Damper Control, which modifies the suspension damping and is well worth the $500 it costs. If you want it to, the MINI JCW can be as tame as a slow loris, entering a sedated state when in Green mode that can see you return up to 40 mpg (5.9 l/100 km) when threading lightly and that’s no joke. Yes, we were impressed by the fuel consumption of this would be beast and we’re not afraid to tell you all about it. If you want to be track ready, though, you might wish to wait for the MINI JCW GP model to come out that’s where practicality will become a distant memory. Until then, you can decide whether it is worth your money by reading our full 2016 MINI JCW review. That’s also where you’ll learn why we think this is the perfect paradox in the current line-up. Personalisation is once again at the heart of the new MINI Convertible. Options include an industry-first Union Jack design woven into the MINI Yours fabric roof. There are two new exterior colours - Caribbean Aqua and Melting Silver - with a new Chester leather in Malt Brown available for the interior. A three-car range will be available from launch - the MINI Cooper Convertible, MINI Cooper D Convertible and MINI Cooper S Convertible - with two petrol engines and one diesel. On-the-road pricing starts at just £18,475. For a quick reaction to sudden changes in the weather, the soft-top can be opened and closed at speeds of up to 18 mph. The two operations are activated by means of a toggle switch on the front roof frame. When the vehicle is stationary, it can also be operated using a button on the remote key. Both operations take just 18 seconds. A button located in the driver's door trim allows for simultaneous opening and closing of all four side windows. As an alternative to the standard version of the soft-top in black, a MINI Yours version is available for the first time with an integrated woven graphic. It's an innovative and unique way to customise the new MINI Convertible. Based on the popular roof graphic from the MINI Hatch, the Union Jack motif is finished in a black and grey herringbone pattern. Emphasising the elongated silhouette, the chrome band that runs horizontally along the shoulder line, the short overhangs and the sculpted surfaces are all pure MINI. Family cues include the large circular headlamps with chrome rings, the hexagonal radiator grille, the â€˜side scuttle' indicator surrounds and black lower edging to the body panels. In conjunction with the optional Chrome Line exterior, the lower air inlet also features a chrome surround. On the MINI Cooper Convertible and MINI Cooper D Convertible, the ribs of the radiator grille and the bumper trim where the number plate sits are finished in high-gloss black. The performance credentials of the new MINI Cooper S Convertible are highlighted with an additional bonnet vent, and brake ducts in the lower air inlet. In addition, the chrome rib of the radiator grille bears an â€˜S' logo in red that's repeated on the side scuttles. Boot volume of the new MINI Convertible is 160 litres with the roof open and 215 litres when it's closed. Both figures are approximately 25 per cent more than its the predecessor. The tailgate opens downwards and can support a weight of up to 80 kg, for ease of loading. When the roof is closed, the luggage compartment opening can be expanded to stow larger items by means of the Easy Load function, which comes as standard. Two locking handles enable the roof frame to be swung higher up than in the previous MINI Convertible. For long loads, the car's standard 50:50 split folding rear seat back rest makes life easier. The through-loading facility - widened by 8 mm to 734 mm - is ideal for items such as skis or snowboards. MINI's unique approach to cabin design showcases the best in contemporary styling, use of premium materials and high-quality workmanship. Nowhere is that better illustrated than in the new MINI Convertible, where a new Chester leather is available for the first time in Malt Brown colour. At the heart of the car's appeal is increased space and comfort compared with the model. The extended adjustment range of the front seats ensures convenient entry and exit for rear passengers. Longer seat surfaces, increased headroom, extra shoulder width, extra elbow space, and more knee room (by 36 mm) all contribute to the enhanced rear. In the front, MINI's characterful dashboard and instruments are as striking as ever. The horizontally structured cockpit matched with circular or elliptical contours for displays, air vents and door trim will all be familiar. Much-loved MINI elements such as the instrument panel on the steering column, large central display screen and red start/stop button at the centre of the dashboard are all present. For an interior design geared towards the customer's own personal style, there is a broad selection of upholstery colours, interior surfaces, cockpit facia frames, lighting packages, and Colour Lines and Chrome Lines for the interior, including MINI Yours options. To ensure outstanding driving performance with exceptional efficiency, the latest generation of EU6-compliant engines are installed under the bonnet. The petrol engines inside MINI Cooper Convertible and MINI Cooper S Convertible - 1.5-litre three-cylinder and 2.0-litre four-cylinder respectively - feature turbocharging, direct fuel injection with centrally positioned injectors, variable camshaft control on the intake and exhaust side (double VANOS) and fully variable VALVETRONIC valve control technology. On the 1.5-litre diesel three-cylinder engine in the MINI Cooper D Convertible, there is turbocharging with variable intake geometry and common rail direct injection. The optional MINI Driving Modes enable individual vehicle set-up by means of a rotary switch at the base of the gear lever. In addition to the standard MID mode, there is a choice of SPORT and GREEN. Adjustments influence the characteristic curves of the accelerator, steering and - if the car is specified accordingly - the shift characteristics of the Steptronic transmission and the Dynamic Damper Control program map. In SPORT mode, the overall set-up is geared towards active driving fun, while GREEN mode supports relaxed and fuel-efficient driving. For example, in Steptronic cars it's possible to use the â€˜coasting' function, where the drivetrain is decoupled at speeds of between 31 and 99 mph as soon as the driver's foot is removed from the accelerator pedal. The increase in wheelbase and track width over the outgoing model has provided an ideal starting point for the driving dynamics of the all-new MINI Convertible. The combination of single-joint strut front axle and multi-link rear axle - unique in the small car segment - and a convertible-specific set-up means the car is exceptionally agile but also supremely comfortable on all road surfaces. A sports suspension, which is geared towards even more dynamic driving, is available as an option on all models. In addition, the new MINI Convertible is fitted with a rollover protection system with actuators connected to the car's safety electronics. For the first time, the rollover protection elements are integrated and completely invisibly. As soon as the car detects the risk of a rollover, two protection bars made of high-strength aluminium retract within 150 milliseconds by means of a pyrotechnical trigger. Combined with the convertible-specific reinforced windscreen frame, this forms a stable survival space for vehicle occupants. MINI's suite of driver assistance systems are second to none, and many are showcased on the new Convertible. They include park distance control (PDC) with rear sensors and rear view camera as standard, and front sensors as an option. Parking Assistant is also available as an option. A host of new exterior lighting options are available on the car, including all-LED lights, the addition of adaptive light distribution geared towards driving situation and road layout, plus an LED turning light. Inside the car, the optional LED lighting package creates a sophisticated ambience. The MINI Excitement Package includes a downwards projection of the MINI logo from the exterior mirror on the driver's side, activated when the car is unlocked. Another new feature incorporated into MINI Connected XL, developed especially for the MINI Convertible, is the â€˜rain warner' function. If the vehicle is parked with the roof open and the forecast is bad, the driver is sent a message via their smartphone suggesting that it might be time to close up. If the MINI Convertible is being driven and there is rain forecast ahead, the driver will be alerted on the centre console. Additionally, if the car is travelling over 30 mph, MINI Connected XL will suggest possible places to pull over and close the roof. autoevolution found this 4X4 combo of a Mini Mayfair chassis on a Land Rover Range Rover frame with a Land Rover 3.9-liter V8, which works with an automatic gearbox. It is for sale on eBay UK. If you’re in the market for a typical hatchback but are put off by the sometimes lacklustre dynamics served up by mainstream offerings, this new Mini is well worth a look. Although it’s priced above the more conventional competition, it delivers an engaging driving experience, especially in the Cooper S guise tested here. 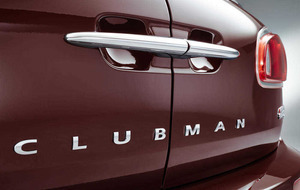 The Clubman has always been a quirky choice and that tradition continues with this new model. However, it is clearly better than the previous Clubman in terms of passenger and boot space, perceived quality inside, performance, fuel economy and comfort. The adoption of four conventional side doors, together with improved functionality of the barn doors at rear, also provides it with significantly enhanced practicality, which is something that’s sure to make the new Clubman more popular among family car buyers than before. Stephen Simpson is one of the drivers of the MINI JCW Racing Team. Check out the interview at MotoringFile. "It's All About The Doors"
. . . . The Clubman is probably the least mini new Mini yet, though it is a handsome looking wagon. It also looks expensive, which is just as well as it is resolutely premium-priced. . . .
autoevolution has posted a nice wallpaper selection under the title "Urban Cruising." Munich. 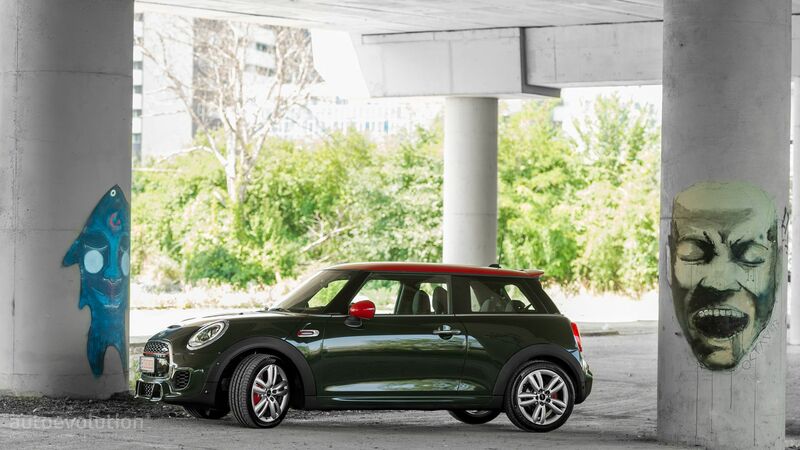 The MINI John Cooper Works continues its series of successes at the annual “sport auto” magazine readers’ choice and takes first place in the importer small car category. Thanks to its outstanding performance and properties, the MINI John Cooper Works has always had an exceptional standing among the competition. The MINI John Cooper Works is driven by the most powerful engine ever installed in one of the British premium brand’s production models, the 2 litre 4-cylinder petrol engine with MINI TwinPower Turbo Technology generating 170 kW/231 hp (fuel consumption according to EU: 6.7 l/100 km, combined CO2 emissions: 165 g/km). The top athlete’s technology for the engine, suspension and aerodynamics derives directly from motor racing and defines its exclusive properties and its orientation towards extreme driving fun. Its distinctive character is emphasised by model-specific exterior and interior design features. In conjunction with the 6-speed manual transmission, the MINI John Cooper Works accelerates from 0 to 100 km/h in 6.3 seconds reaching a top speed of 246 km/h. It is also optionally available with the 6-speed Steptronic sports transmission. The “sport auto award” has been issued since 1980 and ranks among the most longest-standing automobile awards. This year 13,601 readers voted in 30 series production car categories and 10 tuning model classes. ". . . A Toy For Grownups . . ."
. . . Those crowded back seats bring me back to my original point, namely that the Mini Cooper, even in its four door guise isn’t really a car. After all, it is tempting to compare the Mini to something like a Golf GTI and wonder why you are getting less car for significantly more money. This kind of comparison isn’t fair, because the Golf GTI wants to be a car, and the Mini wants to be a fashion item. After all, a reusable grocery bag is larger and more durable than Coach handbag, but we all understand why the handbag costs more. Like that handbag, the Mini nominally has a practical purpose, but really the reason to buy it is that almost entirely divorced from it. This might limit the people who would consider buying a Mini, but the people who will are going to appreciate every last LED light and vintage line. Looking at it that way, it’s almost a good deal. 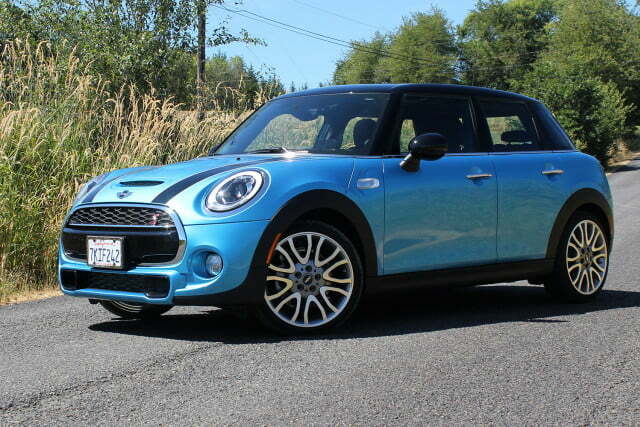 "The Goldilocks Of The Four-Door MINI Lineup?" The is the question that Motor Trend uses to sum up its short review of the 2016 MINI Clubman in its "New Car Ultimate Buyer's Guide." How Does The F56 JCW Do On A Dyno? "Based on these numbers, I would say that MINI is probably quite conservative in their John Cooper Works power ratings of 228bhp and 236 ft/lbs of torque, especially considering that with just the JCW Tuning Kit, Clark (the name of his MCS) has exceeded both the published horsepower and torque ratings of the factory JCW. I do hope to have someone else with their F56 Cooper S and JCW Tuning Kit come to the October dyno day so we can have another car to compare against to see if this is the norm or if Clark is just “SuperMINI” after all."
. . . One aspect that stood out more this time was wind and road noise. I went on record earlier this year claiming our Mini Cooper was quiet on the highway. Well, it seemed nosier this time around, which might have had something to do with different kinds of road surfaces. Also, I was often answering my son's "Are we there yet?" questions, which could have influenced me noticing the wind and road noise more. But I wouldn't have described it as quiet on this trip. My son was otherwise happy sitting in back, and I've come to appreciate the Mini Cooper's boxy profile. 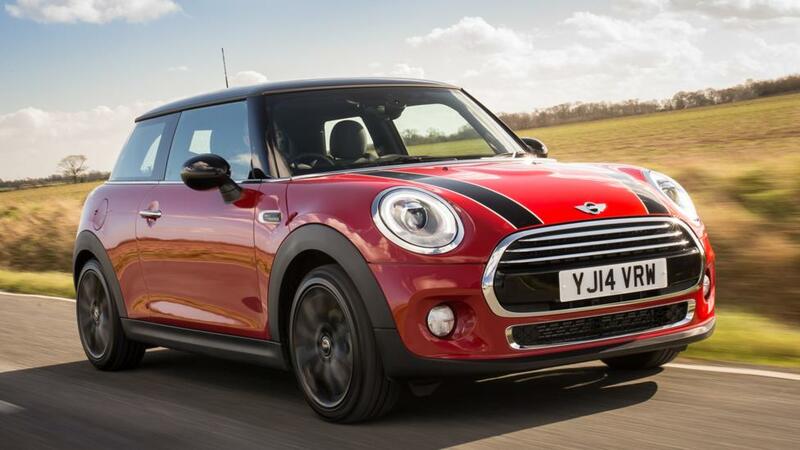 Compared to other small two-door coupes with a sloping roofline, the Cooper is easier to step in back and strap little kids into their safety or booster seats. . . . .
. . . A MINI Cooper S is one of those cars we all need to own at one point in our lives. It’s a true driver’s car, but doesn’t look outlandish and snobby, it has real pedigree, is fuel-efficient and if you’re driving mostly alone, very practical. Fuel consumption was a decent combined 9 km per liter on an engine with only a handful of miles in it, so this should improve vastly. The added size has made it easier to live with as well, and yet the fun-factor is very much intact. . . . .
love:mini reports Presenters James May, Kate Humble and Ant Anstead will meet the people and experience the technology behind the production of one of MINI at Plant Oxford in a new series called Building Cars Live. Official Release: Tests conducted by the University of Portsmouth reveal that driving a powerful car can provoke a more dramatic physical response than enjoying a rollercoaster ride or jumping out of a plane. Working with MINI’s new John Cooper Works Hatch, launched this summer, scientists from the University of Portsmouth’s Sport and Exercise Science department ran a series of physical, psychological and physiological tests to measure the effect the car had on a selection of drivers and stunt driver, of Rush and Mission Impossible 5 fame, Niki Faulkner. Putting their foot down at the iconic Goodwood Motor Circuit, the drivers’ self-recorded anxiety levels increased a massive 370 per cent from rest, whilst average heart rate increased 100 per cent to 181 beats per minute – this increase is nearly four times that reported when watching horror film The Shining or even jumping out of a plane, which has been recorded at 170 beats per minute. Driving the new MINI John Cooper Works Hatch could even provoke a greater response than that of someone proposing to their girlfriend or even running a marathon. Adrenalin makes us sharper as the drivers’ reaction times improved by an average of 6% after driving the MINI John Cooper Works Hatch, triggering the same effect as caffeine. Dr Chris Wagstaff explains, “In situations of fear and excitement, the body reacts according to a combination of our thoughts and survival instinct – reactions are faster, our heart rate increases. With a 2.0 litre 4-cylinder engine and TwinPower Turbo Technology, the new MINI John Cooper Works Hatch achieves top speeds of 153mph, has 231 horsepower and reaches 62mph in 6.3 seconds. Combined with a racing heritage and quality credentials of the latest MINI generation, the John Cooper Works Hatch truly is pulse-racingly hot on and off the screen. 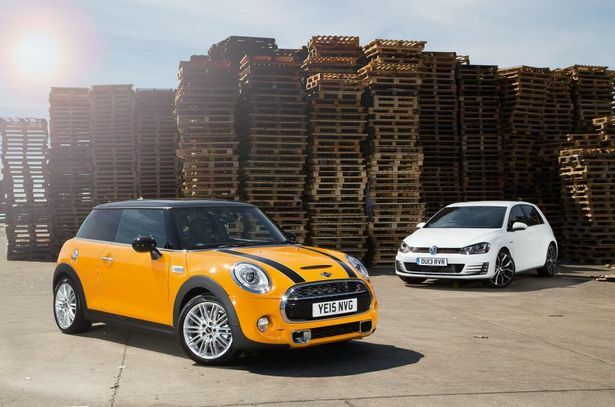 Is there something for everyone in the new JCW? Not a smouldering chance. Those stubborn buggers at MINI deserve a pat on the back for serving up a car that is still (beneath all the electronics) raw, hard-edged, and an absolute hoot to drive. Refinement isn’t the name of the game - in fact, name one race car that ever won on a track based on its exemplary comfort - this little belter is about making you feel as if you’re at the helm of something "built to win". And while the price of admission might seem a little high, its potency (both under-bonnet, and in handling terms) makes it a unique proposition within its class. The Albuquerque Journal recounts how the fastidious owner of a MINI, Ernest Atlas, was damaged at the hands of a mobile "paintless dent removal" provider. Will There Be A 2016 MINI Clubman JCW? As for the styling, we're going to turn our attention to this immaculate rendering from X-Tomi Design. He grafted a new lower front bumper onto the 6-door car, installed bigger wheels and spruced things up with red stripes. 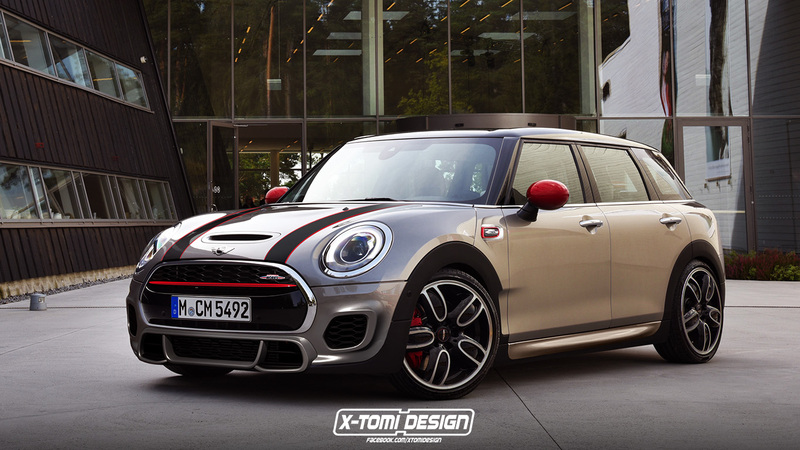 Of course, things like the exhaust or suspension will be enhanced as well.
. . . There’s no question that the F56 MINI is the best product the brand has ever produced. It’s little larger than the previous MINI but for that tradeoff you get a car that has much more utility, performance, technology and comfort. The interior is a revelation as compared with the R50 and R56 generations and the quality has been dramatically improved. 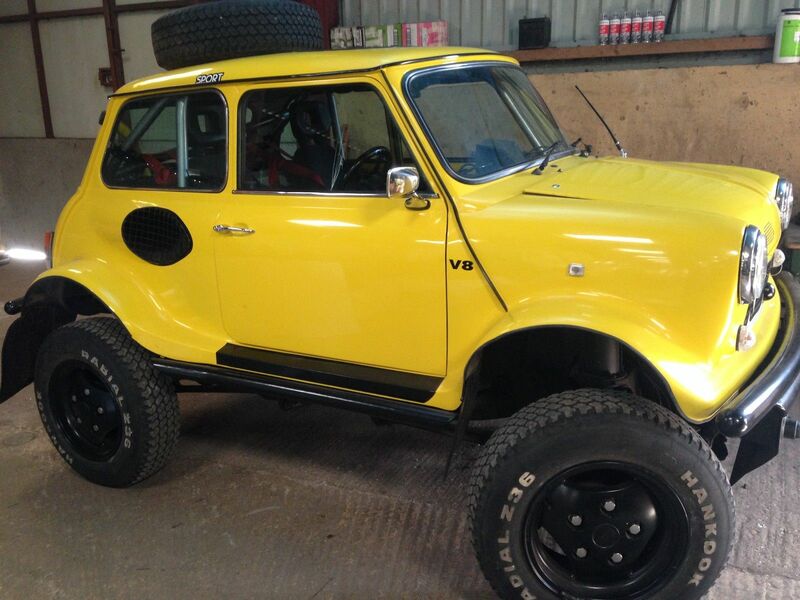 This is a MINI that you don’t have to make excuses for. In short it’s both a great small car and a fantastic MINI. In this MotoringFile video BMW/MINI board member Peter Schwarzenbauer talks about the new Clubman and the evolution of the MINI brand. Jalopnik provides a comprehensive buyer's guide for the 2016 MINI Cooper hatchback and opines that the one to get is the base Cooper. All in all, I walked away with mixed feelings after giving Dreyer and Reinbold back their Mini. In the end, I was extremely pleased with the car, how it drove, and of course, the way it looks. It brings back fond memories of my previous Mini Coopers and how much I enjoyed driving them. But at the same time, I don’t know that I could walk into the dealer and sign away forty-grand. Why is that? Most people would say it needs more power to be relevant in its segment, which is somewhat true. Some would say that it’s impractical, but they’re wrong, as I managed to fit a stroller, a power wheels and other large items in the back of it. Don’t complain about the lack of cargo room. It’s a Mini, not a Tahoe. I’ll tell you what it is —it’s bloody good. It’s fun, its exhaust crackles and pops, and I just can’t get over how well it glues to the road. And that’s why I couldn’t buy one. A car like this is meant to be driven fast and hard, so if you’re looking for a fun and quick commuter, save yourself eight-grand and buy the Cooper S. You’ll thank me for it. The Mini Hatch isn’t that far behind, but it doesn’t win this contest like it apparently ‘should’. It comes with a fine selection of kit but it’s costlier to run than the others and isn’t far ahead where you imagine it would be. 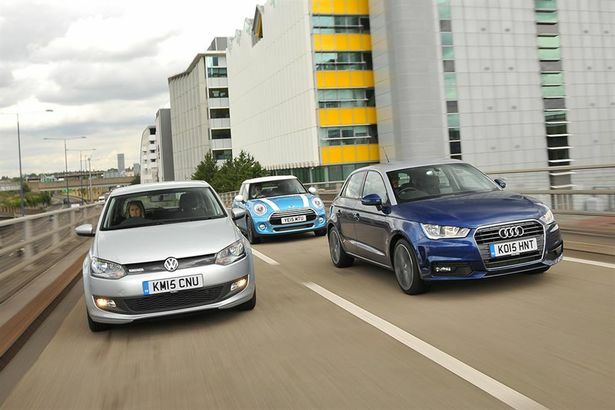 Fletcher provides this video review via Motoring TV. A large investment programme to develop the BMW Hams Hall engine plant near Birmingham is complete. The production of new three and four-cylinder engines is already being ramped up on brand-new production lines, and over one million components will be machined at the plant for the first time this year as supply extends to other plants in the Group. The investment project, part of £750 million that has been spent across BMW Group’s UK manufacturing sites, has ensured the Hams Hall site remains a state-of-the-art facility, capable of producing the next generation of engines and securing a long-term future for the plant. Engines, as well as machined components manufactured at BMW Plant Hams Hall contribute to a range of cars across BMW Group’s product portfolio. This includes MINI – the new Clubman model goes on sale in just a few weeks’ time, as well as the new BMW 7 Series, also launched this month. Plant Director, Markus Fallboehmer says: “The transformation in our plant has been huge. Over the last few years we have completely re-developed our two main production areas and installed over 600 brand-new pieces of equipment and machinery. While a high level of technology and automation ensures our plant remains a state-of-the-art facility, the ergonomics of the workstations where we have more manual input have been carefully thought through and adjusted to suit each individual member of the team. Development of the site is another piece of the jigsaw in BMW Group’s global strategy for engine production. The Hams Hall facility is now operating alongside other plants in Germany and Austria, all producing the same new family of next generation engines. Production of a small number of new engines was first introduced at Hams Hall last year. Three-cylinder BMW TwinPower Turbo technology 1.5-litre petrol engines are hand-built exclusively at Hams Hall on a special production line for the BMW i8, the first purpose-built, plug-in hybrid sports car. This engine has already contributed to a series of award-wins for the revolutionary vehicle as well as two class and an overall win at the International Engine of the Year awards. Overall, the new Efficient Dynamics high-tech engine family includes petrol and diesel engines, all employing TwinPower Turbo technology and ranging from 1.5 to 3.0 litres. With different power ratings, the engines can be adapted to a variety of vehicle concepts. Commonality across the engines makes it possible to be extremely flexible in achieving significant efficiences at high production volumes, as well as being able to produce additional special versions of the engines at relatively small volumes across the network of engine plants. 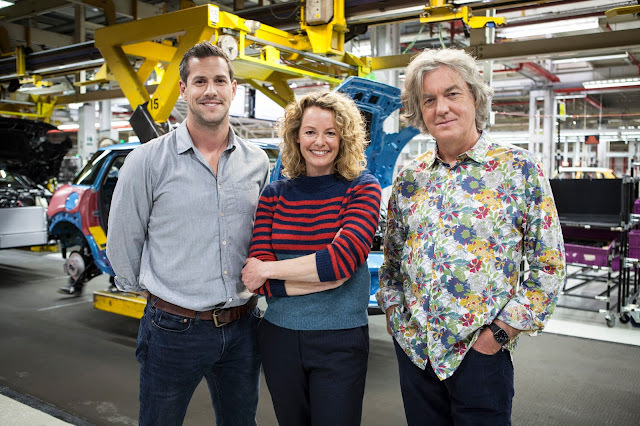 To get a glimpse inside the Hams Hall engine plant, tune in to the new BBC2 series ‘Building Cars Live’, presented by James May, Kate Humble and Ant Anstead. The Hams Hall plant is one of the key suppliers to MINI production at the Oxford-based vehicle manufacturing plant that will feature in the programme this autumn. MINI says the new MINI Clubman and BMW 2 Series Active Tourer are two entirely different cars even though they share the same UKL chassis architecture and wheelbase. In fact, MINI Clubman 'project expert' and mechanical engineer Faris Gerum – who was responsible for all aspects of the MKIII Clubman barring its powertrain – wants to ensure the phrase ‘shared platform’ is struck from any record. Speaking with assembled Australian and New Zealand media at the MINI Clubman range’s international media launch in Stockholm, Gerum conceded the “architecture” is similar but insists there’s no interchangeability between the MINI and BMW wagons. Further, certain engines and transmission options that are now shared between the brands (including the new eight-speed automatic we will see in the Cooper S Clubman, along with its 2.0-litre turbocharged four-cylinder petrol engine) receive specific ECU tuning to suit the application, meaning the finished products deliver a specific driving experience based on the model’s targeted market. . . .
. . . There are a few niggles on the infotainment system in terms of how intuitive it is, but as a car to put some corporate sales hopes on, the five-door hatch should comfortably add 4000 additional fleet registrations as predicted. What Tops Your MINI's Antenna? The Daily Toggle has collected photos of some of the various antenna toppers that MINI has issued to grace MINIs.
. . . the new gen Countryman will be a brand’s answer to full size proper SUVs with the necessary ruggedness and strength. The brand has also made clear the new offering will not be a crossover or a hatch made to look tough. . . .
Buyable ranking: 7. All in all, the Mini Cooper wins for originality and fun factor but if you’re planning to do lots of city driving, you should expect a bumpy ride. Fast Company explores MINI's research on, and use of, virtual reality. In the Mini you’re in hot hatch sweet spots much of the time, and you feel more connected, more involved, and the sound is sweeter too. Isn’t that what a hot hatch is meant to be all about? AutoGuide.com, citing a European study, says there are seven types of drivers. I am "The Philosopher." Read the article and tell us in the Comments what type you are.
. . . Our week in our well specced ($38,000) 2016 MINI Countryman Cooper S wasn’t anything special. Or to put it another way we simply lived in it. That included commuting, a couple airport trips and hauling kids and gear. But then again that likely sums up the most typical use cases for the four door Countryman. The saving grace of the Countryman is how it drives. While the steering is more vague than the new generation of MINIs, its agility is excellent for a small four door crossover. In many ways it defies the segment as something that isn’t user friendly (when everything else strives to be) and delivers a legitimately engaging driving experience (when nothing else outside of MINI does). If you can look past its interior and aging drivetrain (or stay away from the auto) the Countryman still offers something relevant to the driver looking for all weather traction and four doors in an efficient package. "One Of The Most Enjoyable New Cars On The Market"
Those are the sentiments of Austin American Statesman in its short article on the MINI Cooper. the latest Gran Turismo-inspired video by Autocar, they test out two of the best front-wheel drive hot hatches on the market, the Mini Cooper S JCW and Renault Clio RS 220 Trophy, against two of the best rear-wheel drive sports cars on the market, the Mazda MX-5 and Toyota GT 86, to find the best affordable sports car. MINI has introduced the limited edition Cooper JERMYN in Japan. Named after Jermyn Street in the Mayfair district of London, the special edition is based on the Cooper S and features a unique Lapis Luxury Blue exterior with 18-inch alloy wheels. Bigger changes occur in the cabin as the special edition has been equipped with unique leather seats that feature Union Jack inspired headrests. The model also has a nappa leather-wrapped steering wheel, dark cottonwood trim and heated front seats. The special edition will be available in both three- and five-door body styles and production will be limited to 180 units. 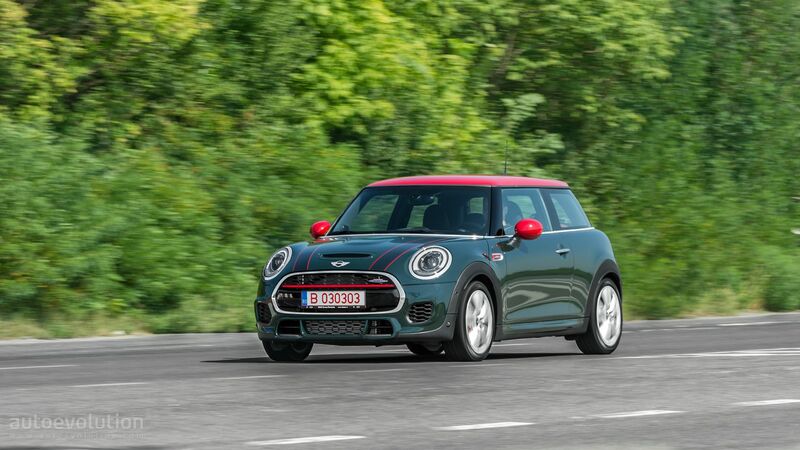 My final verdict on the Mini four-door is that it will function as a family sedan and also provide a little spice to your daily commute. . . .
Have you ever fancied racing? You have?! Well here's a great opportunity to get behind of the wheel of a proper racing MINI and see if it's something you want to get involved in. MINI Challenge is running three Taster Sessions across the country for drivers interested in trying out racing for the first time. . . .
MINI has big plans for the Clubman. First up will be an all wheel drive version expected within the next 12-18 months. The system will be identical to the Countryman’s new system which is a new iteration of the R60’s. 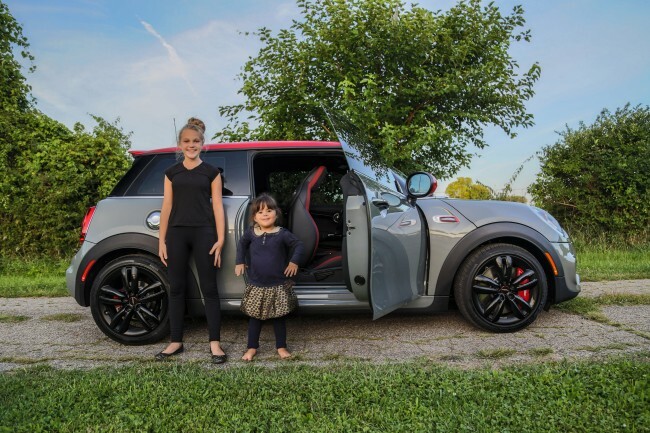 So How Was MINI USA's September 2015?